Associations have the option to offer a secondary price for their association fees to members who have already paid for state fees in another association. The secondary pricing fee will appear on a registration form if the member has already purchased the state fees (has a current membership period) at their primary association and is now registering to a second association. 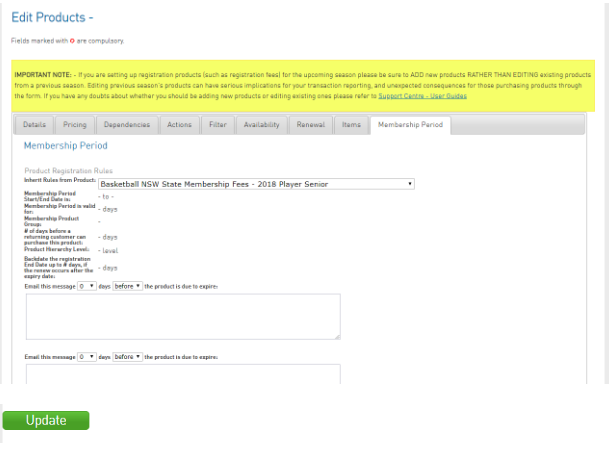 Basketball recently moved to unbundled membership fees, which means that when the participant registers for the first time or renews their membership fees, the system displays the State and Association/Club fee as individual products. Once paid for, and if that participant then decides to join another association/club (within the defined State membership period), the system will identify that they have already paid the State fee and will not allow them to purchase the same product again. In example 1 the person would be a primary member of the Albury association, and then in example 2, the person would be a secondary member of the Wagga association. Associations/Clubs now have the option to charge differential pricing for the secondary Association/Club membership fee, that is, as a secondary member the association/club fee is higher than if you were a primary member. If your association wishes to charge differential pricing, that is the Association/Club membership fee is higher, then you will need to complete the following steps for each participant membership fee product you sell. Setting up the secondary pricing option. Edit an existing product or add a new one. NOTE: If you need help with editing or adding a product, please see Create a product. Set Standard Pricing Fees and click Update. From Inherit Rules from Product, select the matching State Product and click Update. 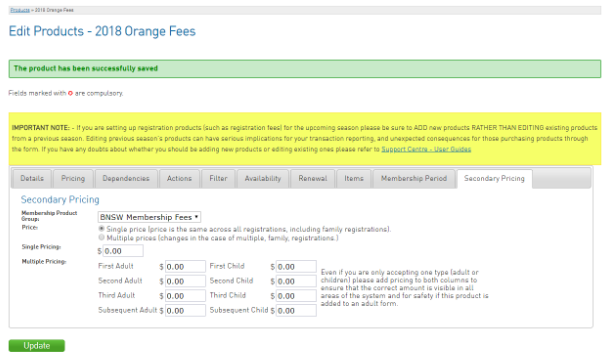 This will populate the end date fields in this Membership Period tab and display the Secondary Pricing tab. 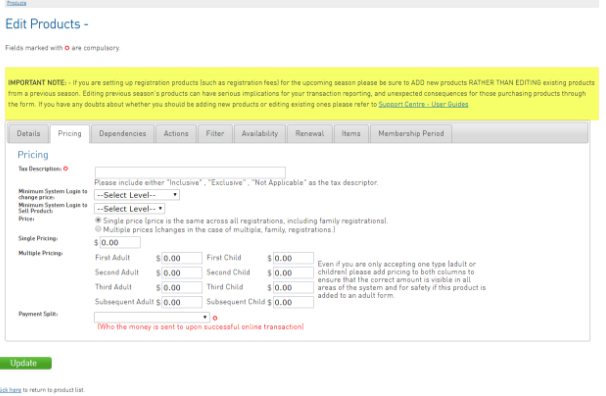 From, Membership Product Group, select ‘None’ for no secondary pricing or ‘Group’ to add a secondary pricing option. 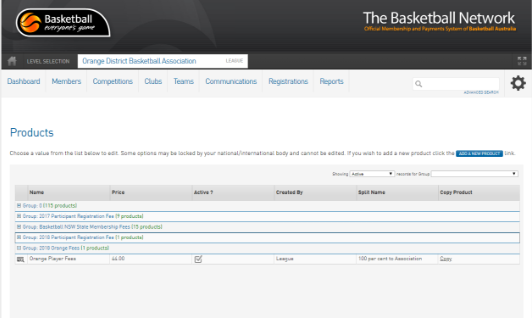 Enter your Secondary Pricing Fees options and click Update.